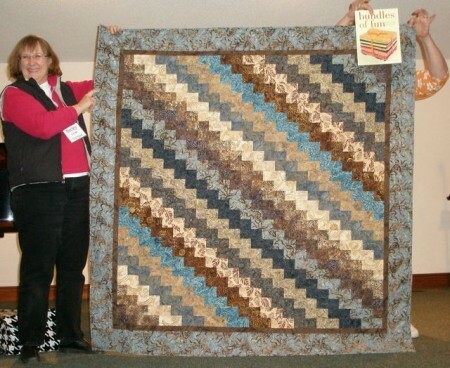 When I wrote my first book, Bundles of Fun, I designed each quilt to be made from twelve fat quarters. 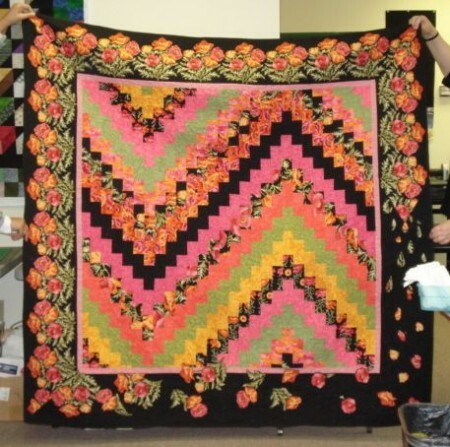 So, all the quilts have names like Midnight Cowboy, A Dozen Roses and Twelve Step Program. 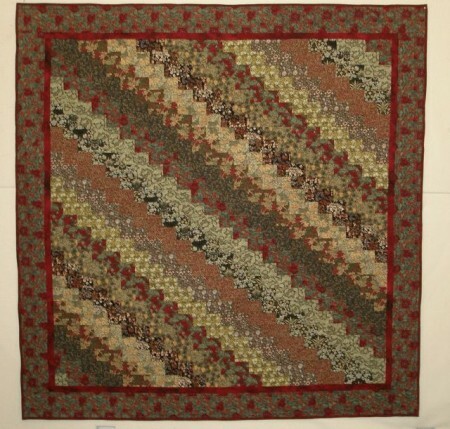 …made with William Morris fabrics. 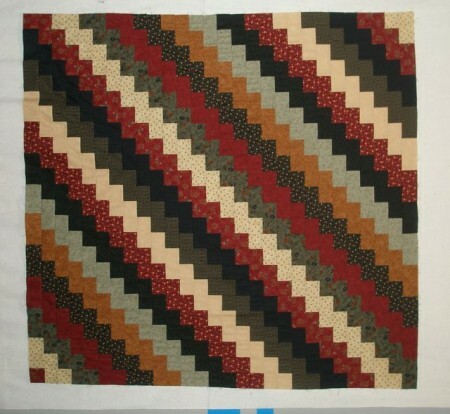 It’s much more bended looking because there isn’t as much contrast in the fabrics. You can sure see the difference in this one, which has lots of contrast. I just stumbled across this top I started from a class demo. I wonder if I have the borders somewhere??? 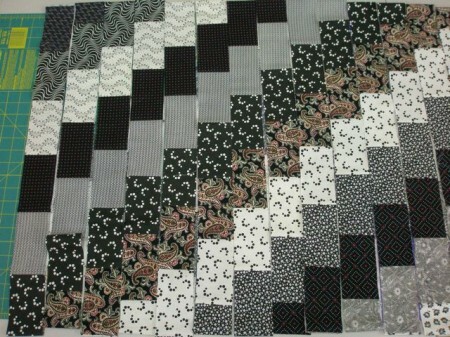 As you can see, this pattern lends itself to any fabrics! 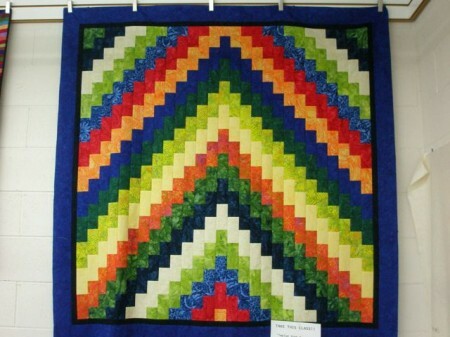 Teri at Boardwalk Quilts made this one, and instead of steps, did a chevron! 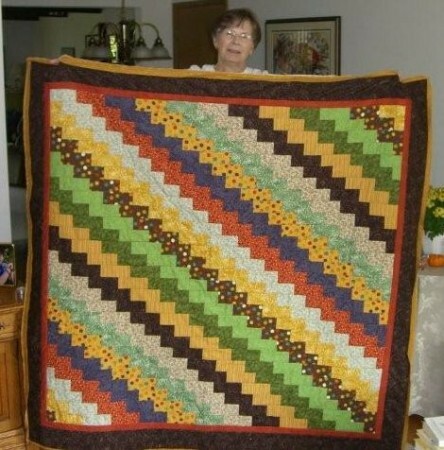 Last Saturday, she offered a class on this quilt. I stopped in just after lunch to see how everyone was doing. 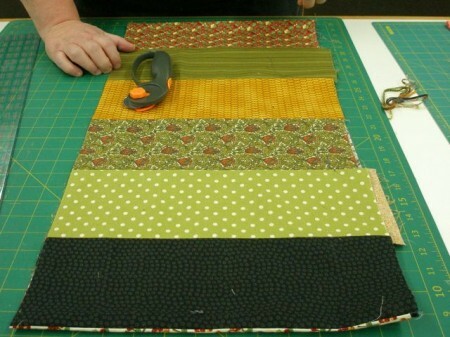 It’s so much fun to see what fabrics everyone picked! 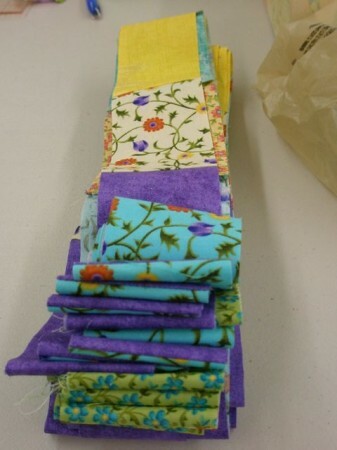 …you sew one more seam to make a tube! 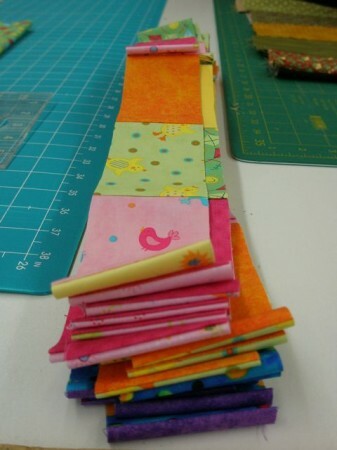 Then you do some more cutting and end up with lots of loops. 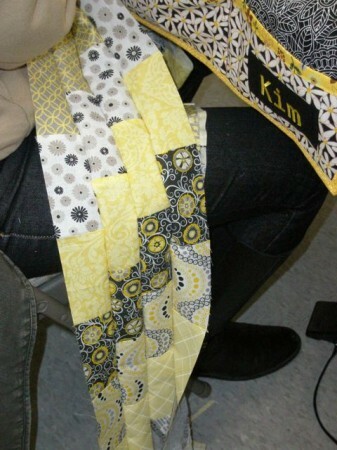 See what I mean about this working with lots of different fabrics! I’m partial to the brights. But the florals are strikingly pretty. 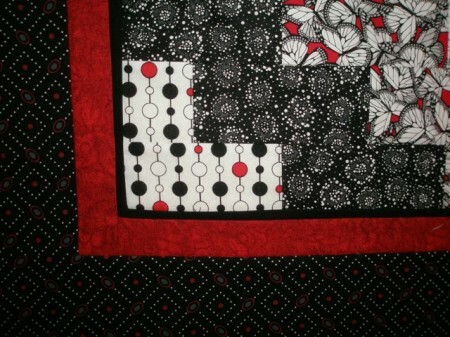 It’s hard to beat black and white with a touch of red! 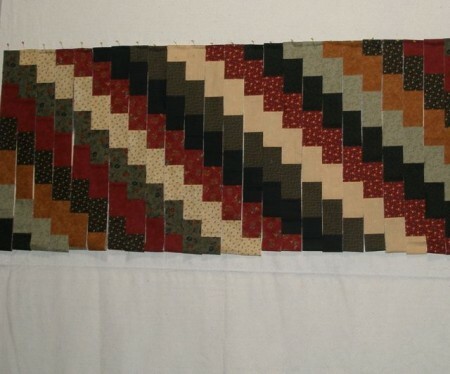 One you cut have the loops, you start staggering the design. Magically, you have stair steps! 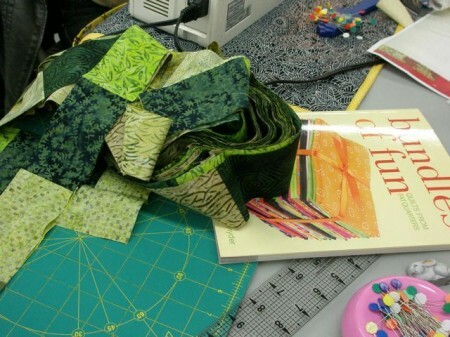 Then it’s just a matter of sewing it all together. …and when I saw Dianne on Monday, she had it all together! 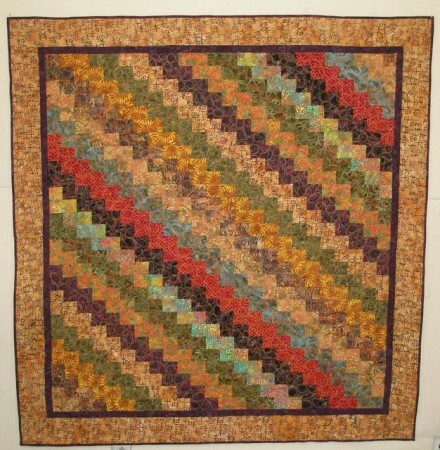 I hope the ladies in the class will all send photos of their finished quilts. When they do, I’ll be sure to post photos of them. The following photo is from one of my retreats. 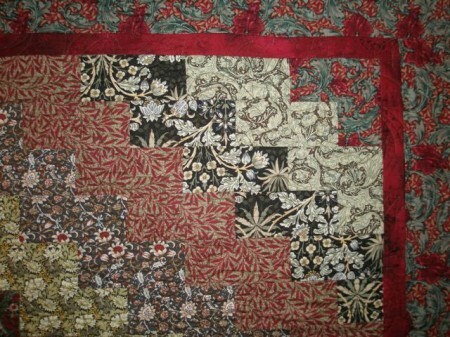 Here, the loops are pinned to a design wall. 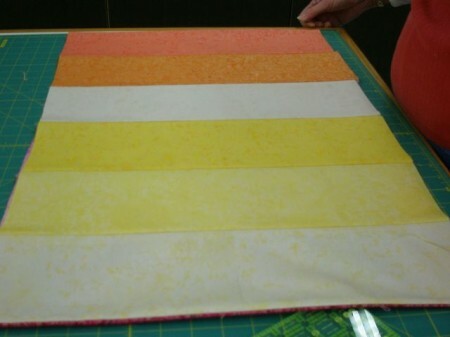 Once the loops are cut in the proper places, it’s ready to sew. Here are a couple more that friends brought to retreats for show-and-tell. 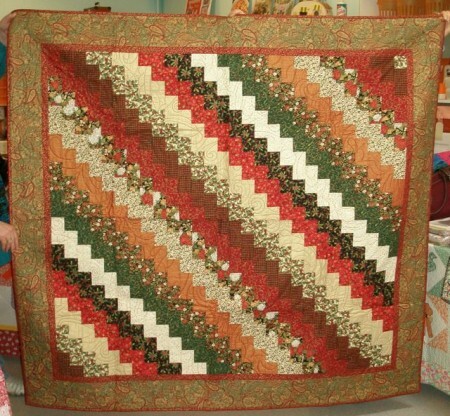 Another beautiful batik version. 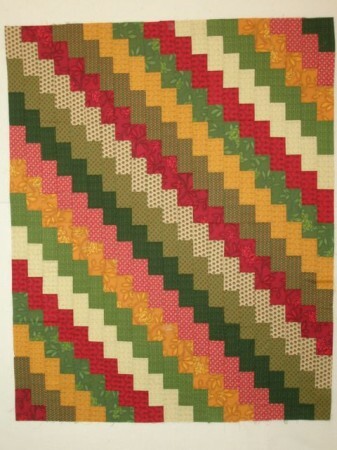 Yummy colors here, and look at the fabulous border treatment. 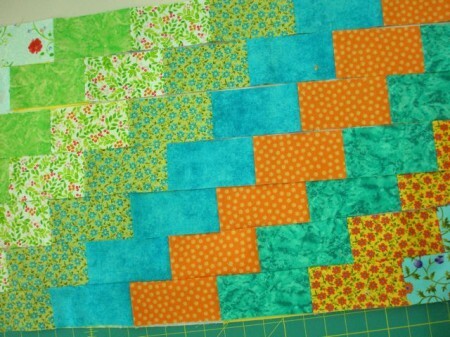 Good, strong contrast in these blocks. And I love the vintage-y feel to this one. Notice the little ad I’m doing in the corner! Shameless! 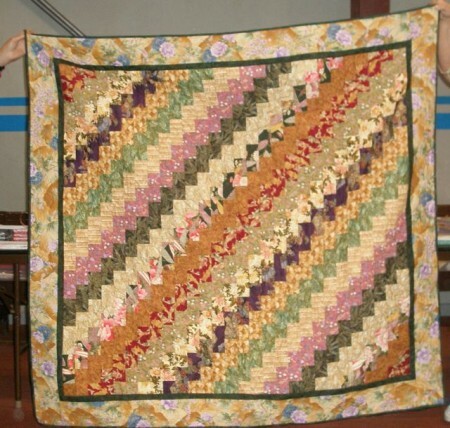 If you have photos of quilts you’ve made from any of my books, I’d love it if you’d share them with me. And here they are……..On Friday, Margaret stopped by. 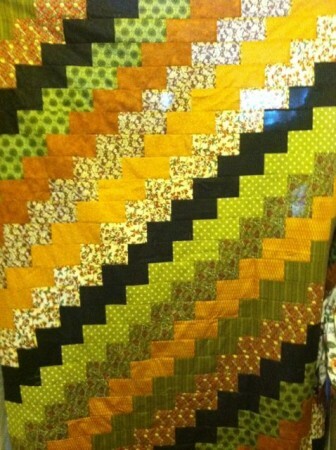 This is the quilt she did in class. It turned out to be amazing! 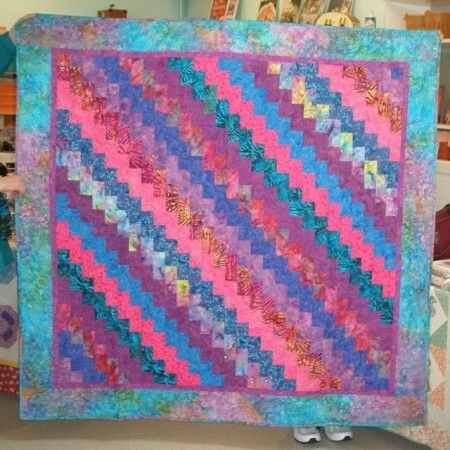 She added a tiny flange between the quilt center and the first border. 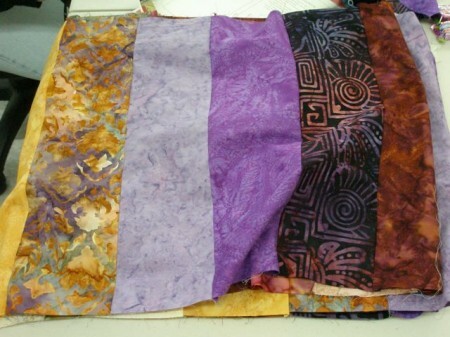 If you don’t know what a flange is, it’s a 1/2″ strip of fabric, folded and sewn in, so it’s three dimensional. 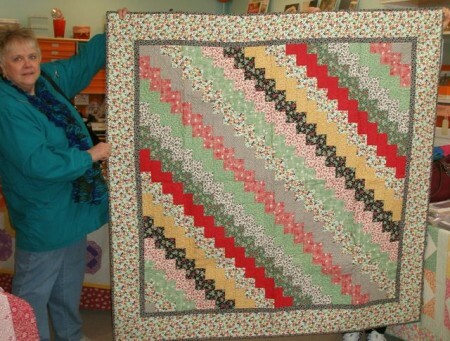 And after Kathi saw this post, she stopped by on Saturday, during my open house, to show me three quilts that she had made with this pattern! 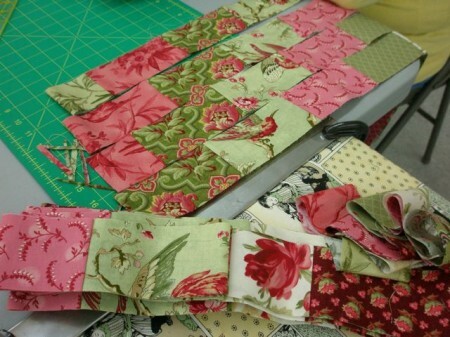 You can really see what I mean when I say this pattern looks good with any fabric combination!